I am going to take a moment to admire this cover. That is the main reason I requested The Midnight Dance from NetGalley. Because of the cover. I mean, just look at it!!! It is unbelievable. Too bad the story within didn’t live up to the cover. While I felt bad for Penny, I felt that her character was flat. Her interactions with the other girls seemed forced and the dialogue stilted. Even her interactions with Cricket seemed forced. While I see her potential as a heroine, I couldn’t connect with her. I also thought that she acted too modern. Seeing that this book was set in 1879, Penny didn’t give off that Victorian vibe. I also couldn’t get into the storyline. Again, it felt very flat and very one-dimensional. I did like that the story was set in Italy but I wish more details were given. If it hadn’t been stated in the blurb that this book was set there, I would have thought it someplace else. Nothing screamed Italy too me. The names of the characters, yes. But nothing else. For all I know, it could have been set in England. There wasn’t a romance aspect of the book. I mean, Cricket and Penny had feelings for each other and they did kiss. But again, it felt forced and flat. The Master’s obsession with Penny was stalkerish and very creepy. But again, it didn’t scream “head over heels in love“. Instead, I got a bad taste in my mouth and the creeps after reading those scenes. Penny suddenly recovering her memories because Cricket touched her didn’t ring true to me. Why? Because he had touched her before in the book and she didn’t recover them then. So why then? I didn’t buy the explanation that Beppe gave when questioned. Drove me nuts and at that point, I wanted to DNF. But I have a resolve not to DNF a book, so I set myself to finish the book. I did like the steampunk elements that were in the book. That did make the book interesting to read. I wish that the book had focused more on that element. It would have been a better read if it did. The end of the book was the best part of the book. It is also the reason I gave the book a 2-star review. 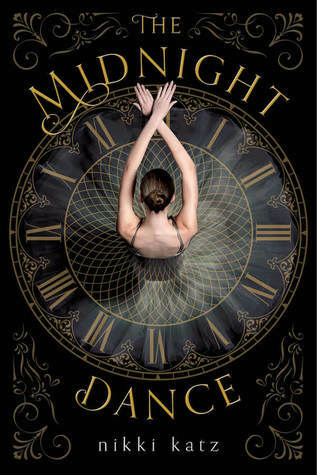 If the rest of the book had been written like the ending, I would have given The Midnight Dance a 4 or 5 review. The Midnight Dance was almost a DNF for me. While the storyline was interesting, I felt that the characters were dull and flat. If I had not read that the book had been set in Italy, I wouldn’t have guessed it. Other than the names and Cricket occasionally speaking Italian, I would have thought the book was set elsewhere. I did love the cover, though, and I thought the ending was fantastic. But this is a book that I will not read again. Why: Mild violence. Other than that, a relatively clean book. All opinions stated in this review of The Midnight Dance are mine.